To explore the traditional gender structures of the play, the lovers' genders will be reversed in this production to explore the effects on the relationships and perceptions of authority in this society. Hermian loves Lysandre, and Lysandre loves Hermian. Helenus loves Demetria, who used to love him, but now loves Hermian. Hermian is Egeus' son. Egeus wants Hermian to marry Demetria and asks Duke Theseus to enforce this wish. Hermian is given the choice: marry Demetria, join a monastery, or face a death sentence. Hermian chooses none of the options and he runs away into the forest with Lysandre. In the forest, the King and Queen of Fairies, Oberon and Titania, are fighting because Titania refuses to hand over a child she has adopted. To get revenge, Oberon instructs his servant, Puck, to seek out a flower with the ability to make someone fall in love with the first creature they see. Puck then stumbles upon a group of craftspeople rehearsing a play. Puck decides to play a trick on one of the players, Bottom, by turning their head into that of a donkey. Bottom's new appearance scares the rest of the players away and the commotion wakes Titania. Under the flower's spell, Titania sees Bottom and falls in love. Meanwhile, Helenus and Demetria have also fled to the forest, following Lysandre and Hermian. Oberon overhears Demetria rejecting Helenus and takes pity on him. Puck is instructed to use the magic flower to make Demetria fall in love with Helenus. Puck, mistaking Lysandre for Demetria, uses the flower on her instead. Lysandre sees Helenus, and falls in love with him instead of Hermian. Oberon enjoys seeing Titania dote on Bottom, but becomes upset when he learns Puck made a mess of uniting Helenus and Demetrian. Oberon uses the flower on Demetria, and ensures that Helenus is the first person she sees. Helenus, who is now pursued by both Demetria and Lysandre, is convinced he is being teased. Oberon reverses the spell on Lysandre and Titania. Titania and Oberon reconcile with one another. Lysandre once again falls for her love, Hermian. Theseus and his bride-to-be, Hippolyta, stumble upon the four lovers in the forest and they recount the story of what happened in the forest. Theseus decrees that they can marry whomever they wish, despite Egeus' wishes, and they all return to Athens. Bottom reunites with the craftspeople and they perform their play for Theseus and Hippolyta's wedding. The National Endowment for the Arts in partnership with Arts Midwest presents Shakespeare in American Communities. 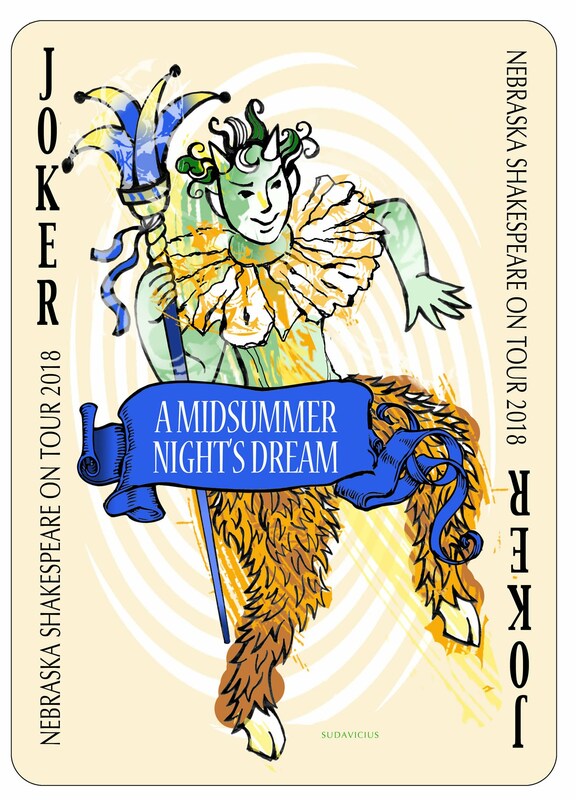 Nebraska Shakespeare is one of 40 professional theater companies selected to participate in bringing the finest productions of Shakespeare to middle- and high-school students in communities across the United States.